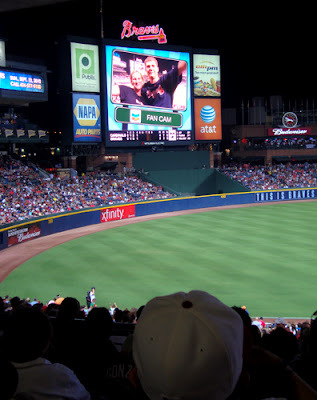 I can hardly wait for the Atlanta Braves to resume their positions on the field for another exciting home run season. But until then, Turner Field (the Grey Lot, actually) will be home to Atlanta Fair. Atlanta Fair opens this Friday, March 4 and will run through Sunday, April 3. Want discount tickets? Groupon is offering a great $12 deal today, but hurry, the offer expires in only a few hours. The Fair has something for everyone from kids and sweethearts to families and adventurers. Rides, games, and the standard Fair-fare await all those who enjoy a little Coney Island-esque fun. Did you know that Turner Field offers behind-the-scenes-tours year round? I did. It's a great way to see the press box, the locker room, and to go onto the field without having to know someone...all you need is your passion for the game.